Today’s guest blogger is a librarian, a national speaker on literacy, an author and is married to a well-known and very talented illustrator. She has all her literary bases covered! I have been virtual friends with her for a long time and hopefully someday soon we will connect in person as we only live one state apart. I am so excited about her debut rhyming picture book, GROUNDHOG’S DILEMMA, coming out in December. See the muddy little puddle. Of the muddy little puddle. In the muddy, muddy middle. Kristen Remenar is a children’s librarian, author, teacher, and a national speaker on literacy for the Bureau of Education & Research. 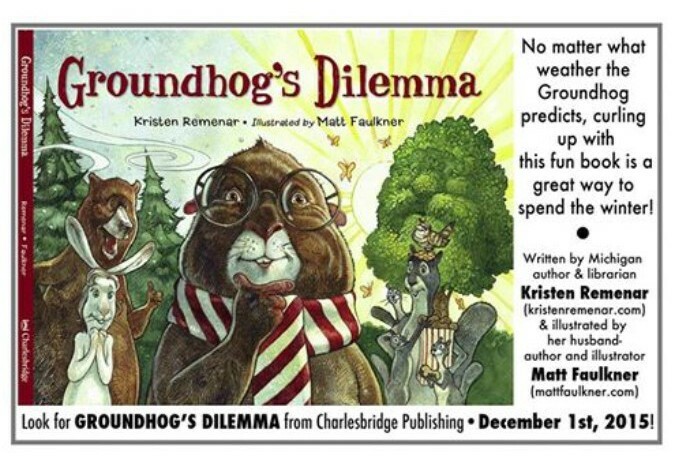 Her first picture book, GROUNDHOG’S DILEMMA, will be published by Charlesbridge in December 2015, and is illustrated by Matt Faulkner, award-winning author/illustrator and dearly loved husband of Kristen Remenar. The FaulkneRemenars live in Michigan. Today’s writing prompt is to write a mushy, rhyming, love poem with as much alliteration as you can muster! Alliteration is a poetic technique in which a number of words, having the same first consonant sound and occur close together. Be silly with it and give an exaggerated effort to make this more fun! I gaze up gawking, like a goon. to my gleaming Mr. Marigold Moon…he’ll blossom here real soon! Silly fun but you get the idea! by Ann Magee and Bev Langill. when I see things I often see. forsaking our most golden rule. blooming doom that buds disgrace. molding blind and mindless malice. Think…How’d you like that done to you? these things that really bother me. Whether by religion, colour or sexual orientation. No one has the right to push their own agenda. Creating a world where all thrive and are loved and accepted. Judge Ferguson placed blame on Mr. Plessy for his blackness? 90 seconds after he encountered police in Ferguson, Missouri? do we need to count? How many times will we let history repeat itself? to all our judges for your time and support of RhyPiBoMo 2015! Thanks also to all who came to the webinar to celebrate a great woman and to those who sent in poems for the contest. It was an impromptu opportunity and had a short turnover time but I appreciate your thoughtful words. Maybe, you can use your poem in a way that will do good in the world…Maya would like that! Shirley Johnson – Great examples! Enjoyed the post. Thanks so much, Shirley! I’m glad you found it beneficial! Patricia Corcoran – I’ve always loved alliteration and find that my poems tend to have lots of examples of alliteration. Thank you for the post and congratulations on your forthcoming book! Julia Maisen – Fun examples. I’m writing a fun alliteration poem. Thanks for the writing prompt and thanks for the informative article on alliteration in poetry for children. Zainab, I’m glad your poetry includes alliteration. I think kids especially enjoy when language is playful. Comment from Cynthia Cheng: I’m fine with good alliteration, even if it’s in poetry for adults. Cynthia, I agree, alliteration isn’t just a playful poetry ploy for kids. I think of Whitman’s “Song of Myself”: I celebrate myself, and sing myself,/ And what I assume you shall assume/ For every atom belonging to me as good belongs to you. The alliteration adds a layer of loveliness. Rebecca Trembula – Alliteration is one of my favorites. Love the fruit chant! -Thank you Kristen! I love alliteration. Great examples. Maria Bostian: Oh my! So much packed into one post. WOW! First off – Kristen, that you for the post. I love alliteration and it was fun to read. You gave us some great examples. To Dawn, Ann, and Bev – What beautiful poetry! I hope you’ll take those poems and share them with the world. All three have messages that we need to hear! Maria, I’m glad you enjoyed the post. 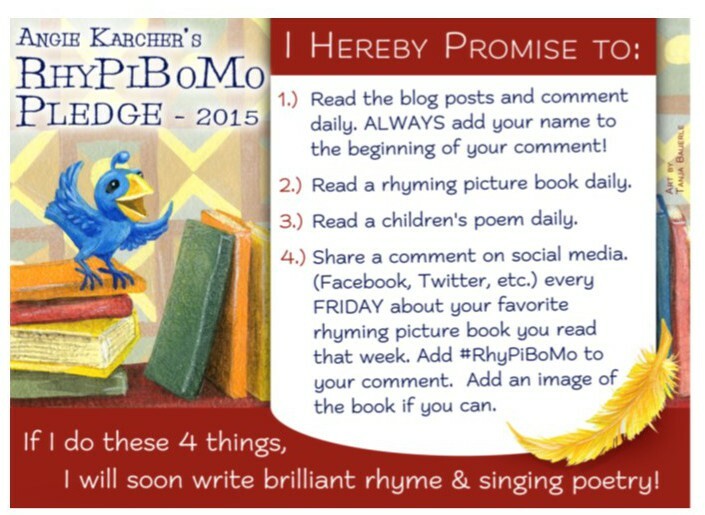 I’m so digging RhyPiBoMo! Appreciations from Jan Annino for Angie Karcher & Kristen Remenar. Kiddos are crazy for creatures from underneath & first up is that famed Februrary Famous Face, the groundhog. So a tip of the tophat for GROUNDHOG’s DILEMMA. Luv it that your hubby is acing the artful attitude in artwork. Will watch for this wonderful release. Kudos, Kristen! 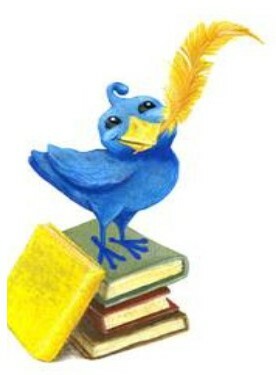 Jan Annino, your alliterative answer to my poetry post made me gleefully grateful! I’m so stealing “February Famous Face” for my goofy groundhog guy! Patricia Toht: Alliteration is so much fun to read aloud. Congrats on your upcoming book, Kristen! And kudos to Dawn Young for a terrific poem! Thanks, Patricia! I’m glad you enjoyed the post, and I hope you like GROUNDHOG’S DILEMMA when it comes out! Loved the alluring alliterative examples! Thanks for sharing them! I’m proud you found the poetry post pleasing! Thanks, Rebecca! What a fun post. I love the way the words roll and dance off my tongue! Pat, I’m glad you enjoy the playful poetry, too! Alliterations are always amazing. Thank you Kristen, for kindly sharing the knack of alliteration, as I acquire new knowledge. 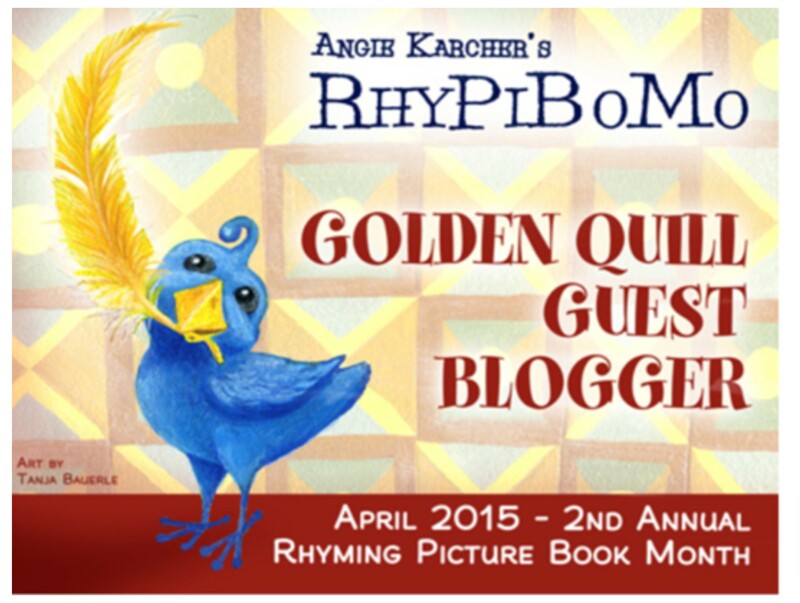 Hip, hip, hooray for the winners of the Maya Angelou Webinar Poetry Contest: Dawn, Bev and Ann! Salutations, Suzy! I’m thankful you thought the poetry post was pleasing! Wonderful examples, Kristen! Thank you!! Can’t wait to see Groundhog’s Dilemma in December! Best wishes with it!! Glad you enjoyed the post, Gail! Now this is fun! Once you start with alliteration it is hard to stop . looking forward to Groundhogs Delema! Jennifer, once you start getting silly with syllables, stopping takes such strength. (Sure this was a stretch, but it’s still such fun!) I hope you enjoy GROUNDHOG’S DILEMMA! Nadine Cranenburgh: Great post, Kristen. I love alliteration, and Chicken Soup with Rice is one of my favourite poems. Have you heard the song version? Nadine, I have very fond memories of singing “Chicken Soup with Rice” and “A Alligators All Around”, when Carole King made the “Really Rosie” collection with Maurice Sendak. Simply sublime! I have always loved alliteration and always will! Thanks for the post. I love alliteration and so do kids–thanks for these great examples, Kristen! 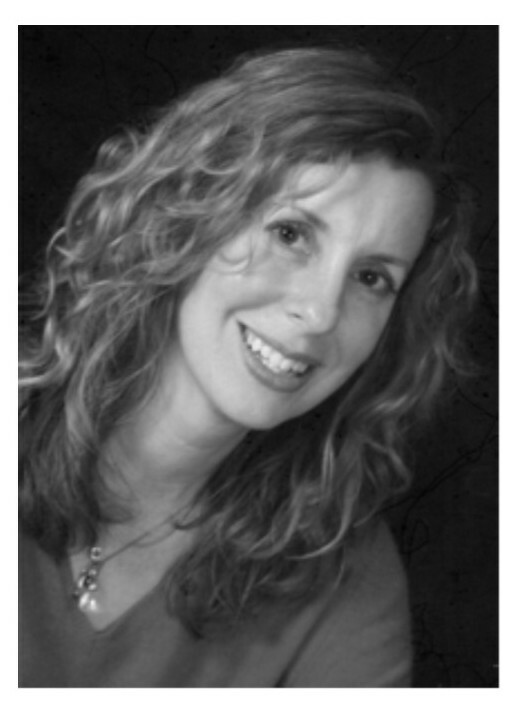 And thanks to Angie for running the Maya poetry contest–Congrats Dawn! Thank you for the vote for alliteration! I’ve been hearing so much of the opposite lately and it needed to be balanced. Susan Schade- Thank you Kristen! I’m in the choir here. I love alliteration! Thank you for showing it off!